Chef Antonello is a truly colourful personality. 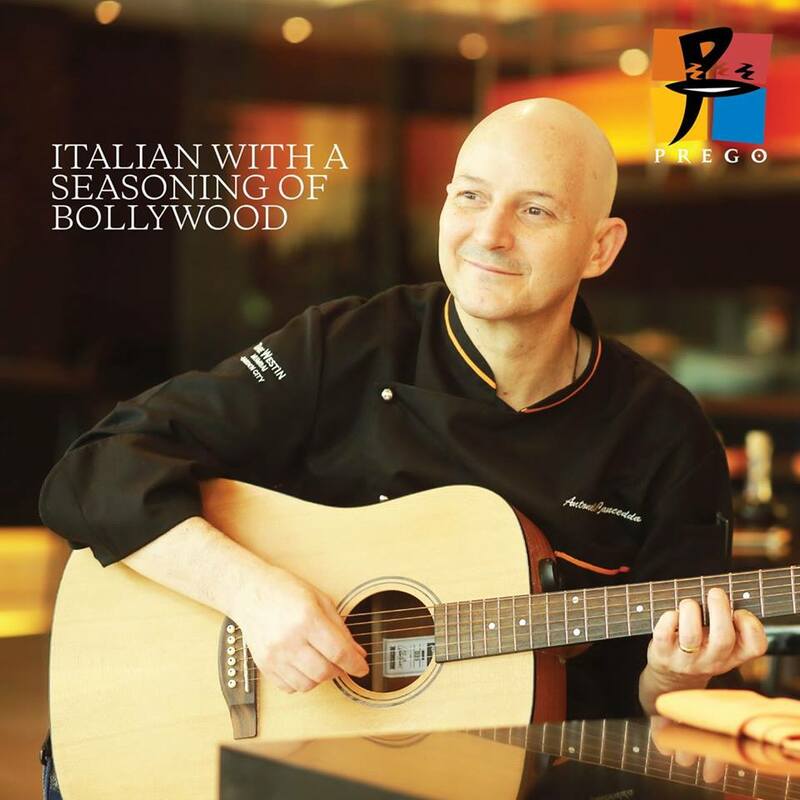 In his few years at Chandigarh and Mumbai, he has not just enthralled the diners with his food, he has also entertained them by strumming his guitar with some choice songs from Bollywood. At Prego, at a media and bloggers preview, we were exposed to some delightful Italian food and some great music from the Chef. The chef is from Genoa, and thus has a soft corner for pesto. So it was but natural that Pesto Ala Genovese was one of the recipes he chose to demonstrate at a cook-off. 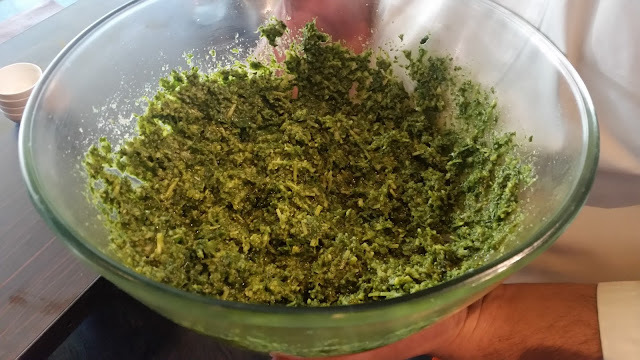 The preparation was extremely simple with a paste of basil being prepared on a grinder with extra virgin olive oil and pine nuts. At a later stage, grated Parmesan and Pecorino was added to this paste and mixed well to prepare the sauce. While preparing this dish, the chef kept on reinforcing the need to use fresh ingredients to get the authentic taste. 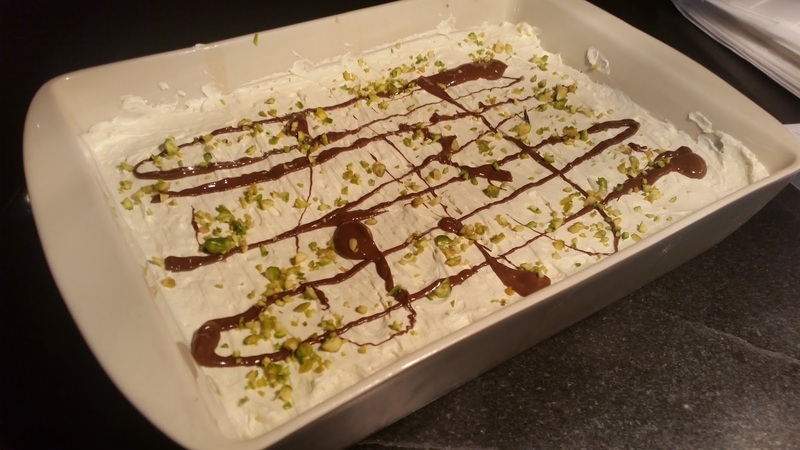 The second recipe demonstrated was Tiramisu, the most popular Italian dessert. Here again, the simplicity of the recipe was demonstrated by an easy to follow step by step process. First, a thick mixture of whisked egg yolk and mascarpone cheese and cream was prepared. Then in a serving bowl, a layer of this was laid out. Next layer was the ladies finger (savoradi) biscuits soaked in espresso. On top, the cheese and egg yolk layer was placed and garnished with liquid Nutella and pistachios. Such an easy recipe leads to such brilliant taste. The cook-off was followed by a sit-down lunch. 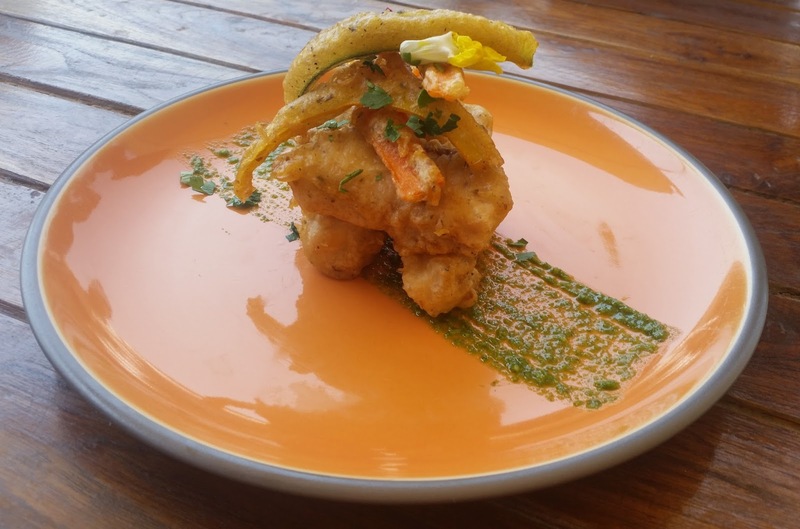 A special menu was curated by the chef for this occasion. 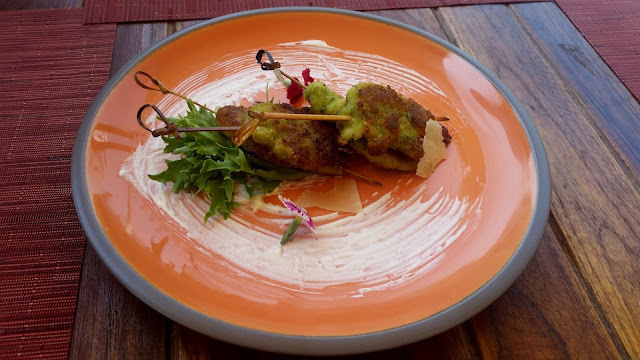 Spiedini di Suprema di Pollo (parsley chicken skewers) and Frittele di Baccala (Cod Fish Fritter) were interesting dishes, and I especially liked the arugula based dip which was served with these. For vegetarians, there was Foccacia Al Formaggio di Recco, a cheese filling sandwiched between two layers of thin dough. 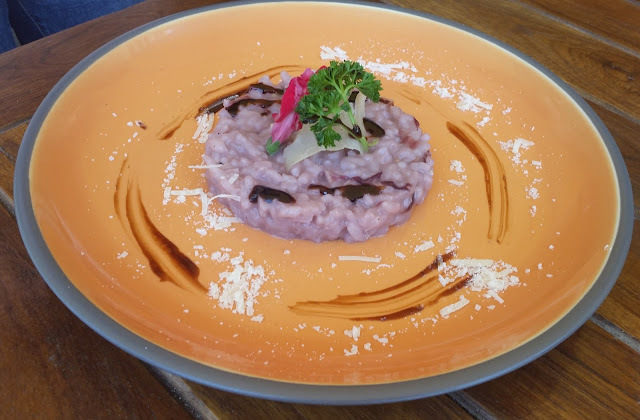 Among the main courses, Risotto Al Vino Rosso (Red Wine Risotto in blue cheese) was colourful, and the taste of the risotto with gorgonzola justified the looks. 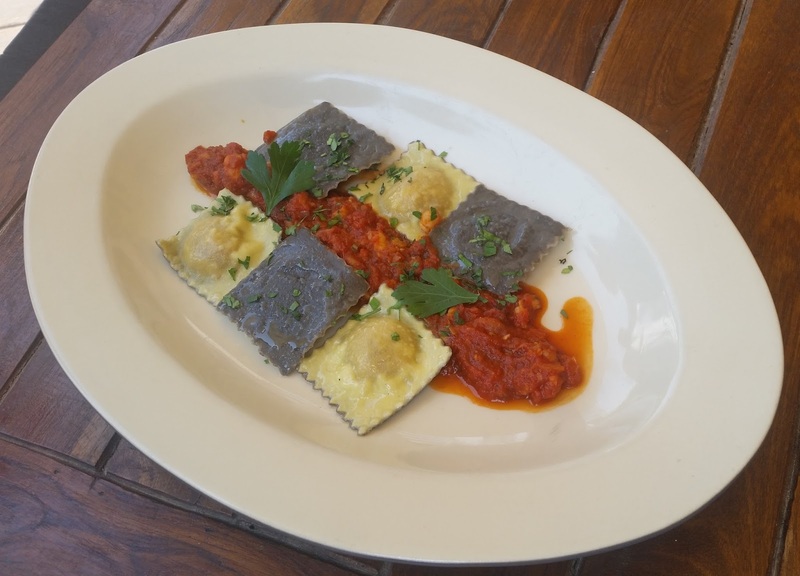 For a seafood lover like me, there was Ravioli di Pesce, served with some delightful seafood sauce. 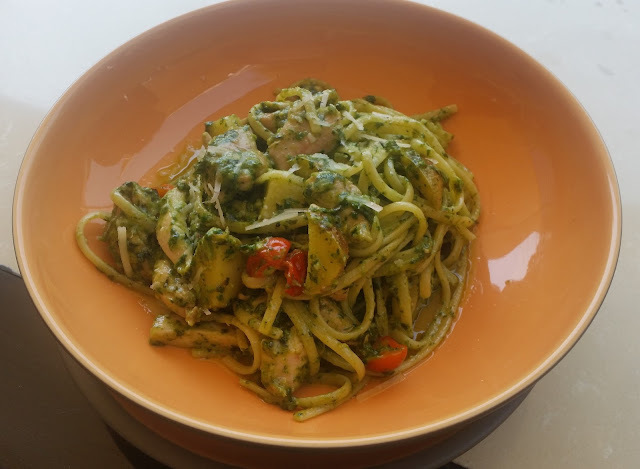 And finally, the pesto sauce prepared today was served with some pasta and cherry tomatoes. 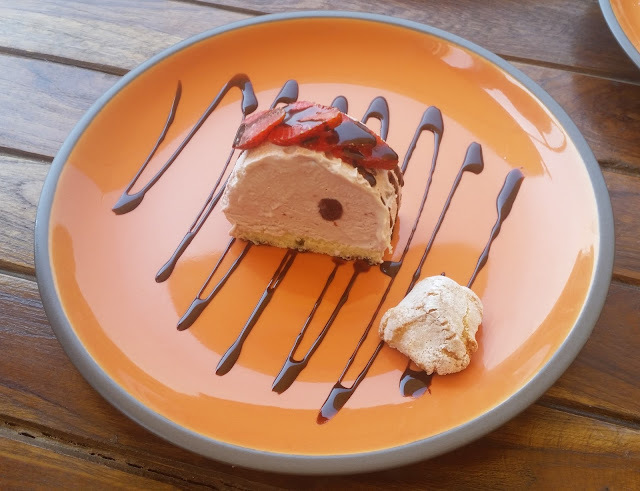 For desserts, apart from the Pistachio and Nutella Tiramisu, Sicilian Parfait with cherries and chocolate sauce was served, it was my type of dessert with a mild taste. At this point, the chef played a lovely folk number from Italy. Some very simple food with incredible taste is what I would summarize the lunch as. 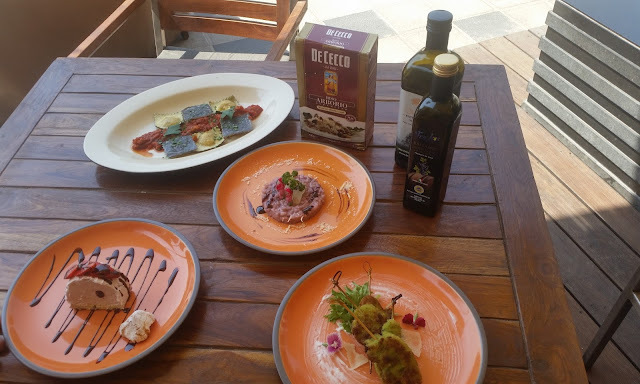 Apart from these, many other signature dishes of Chef Antonello will be showcased at Prego till 12th March. The a-la-carte promotion is open for both lunch and dinner.